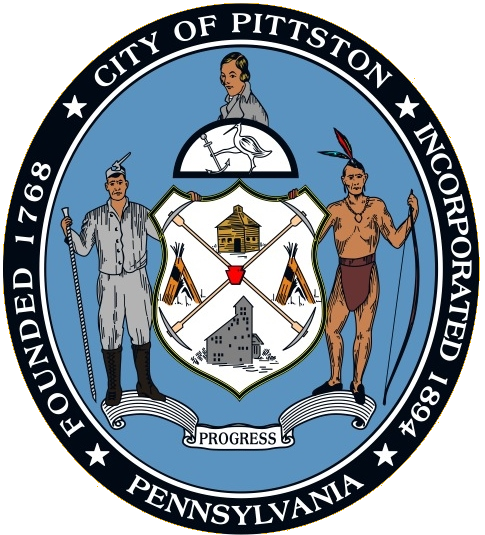 The original Pittston City Hall was located on Water Street. 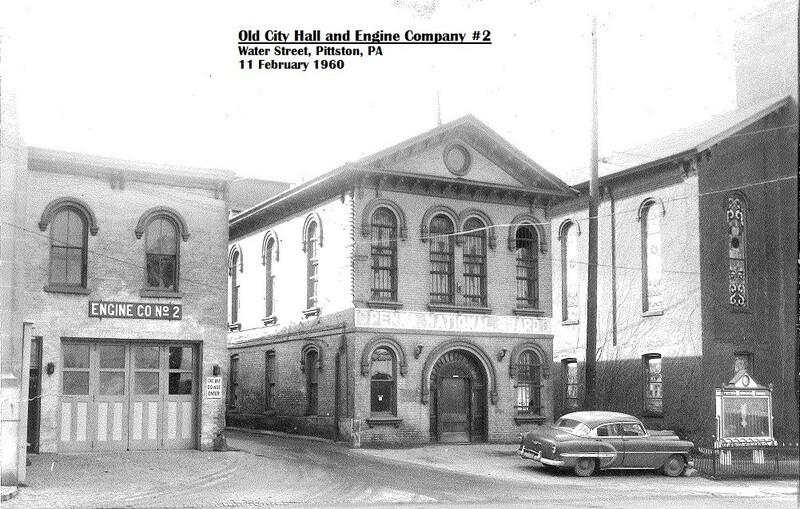 This building was adjacent to a fire house and was utilized as City Hall from the 1860s until 1939. This structure was razed during the “Urban Redevelopment” projects of the 1960s. 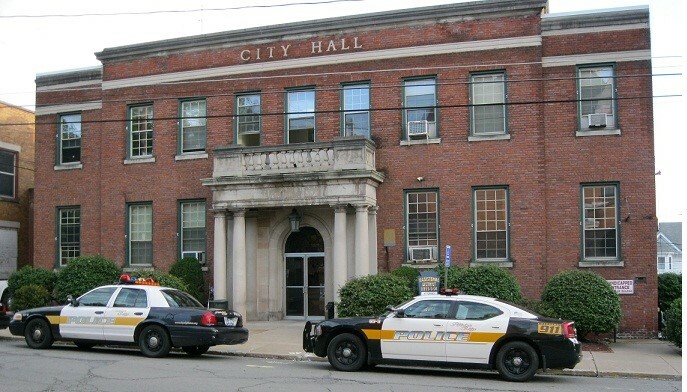 In 1939 a new City Hall was constructed at the site of a former public park at 35 Broad Street. 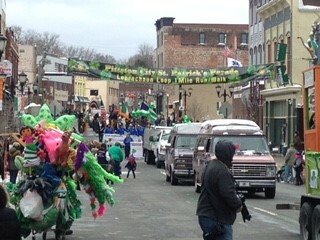 City Hall is currently undergoing renovations and restorations that include the addition of an elevator, new roof, new heating and cooling system, restoration of the historic front portico and interior repairs, restorations and modernizations that will result in an efficient and modernized public building that retains much of its original historic character. 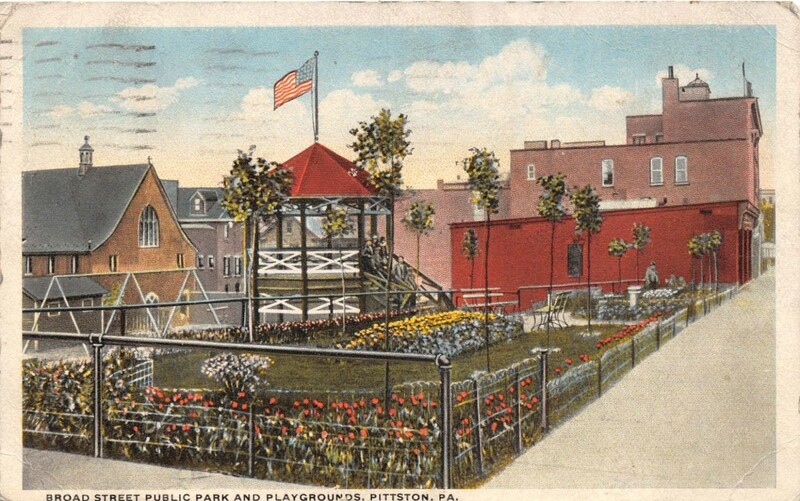 The current Pittston City Hall was constructed at the site of this public park at 35 Broad Street. 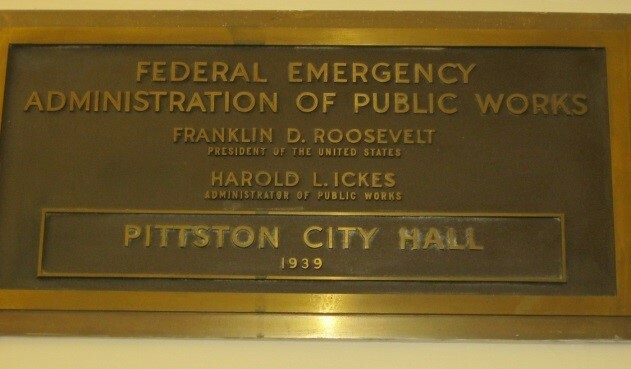 The Current 1939 Pittston City Hall currently undergoing renovation repair and restoration.